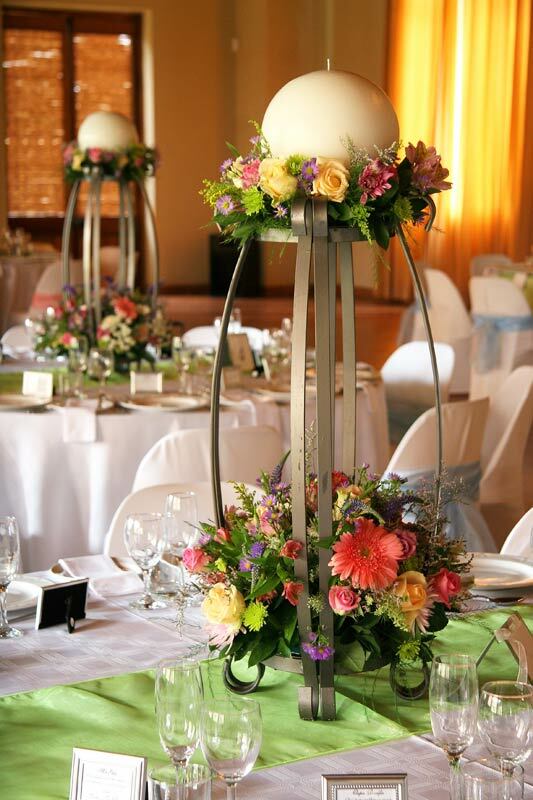 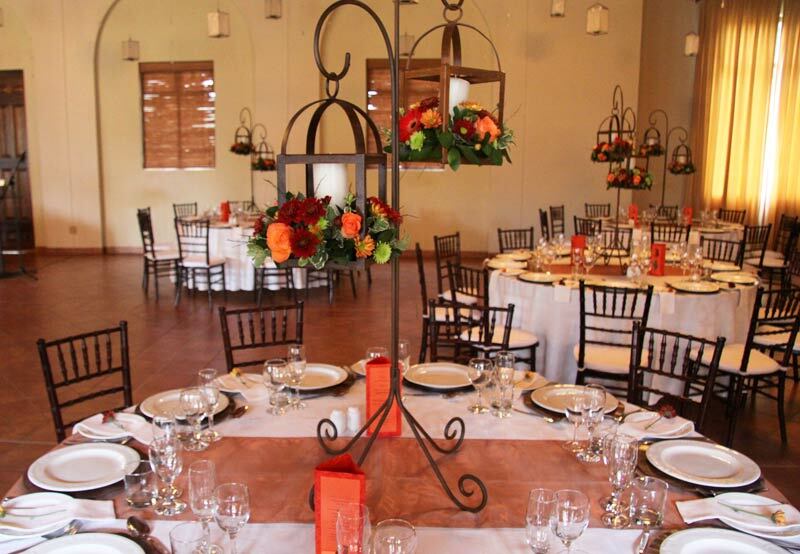 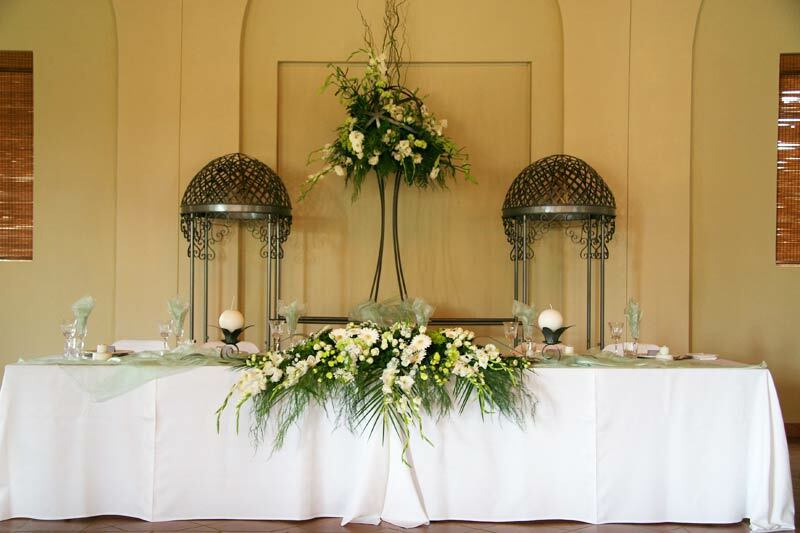 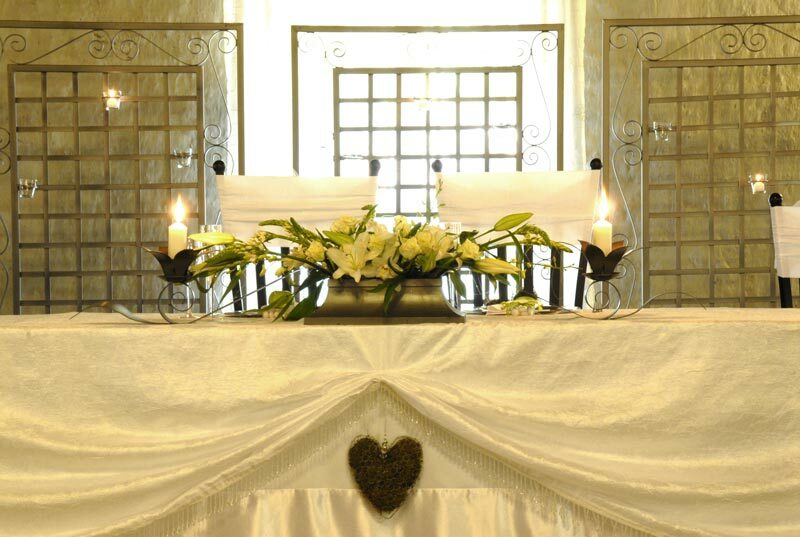 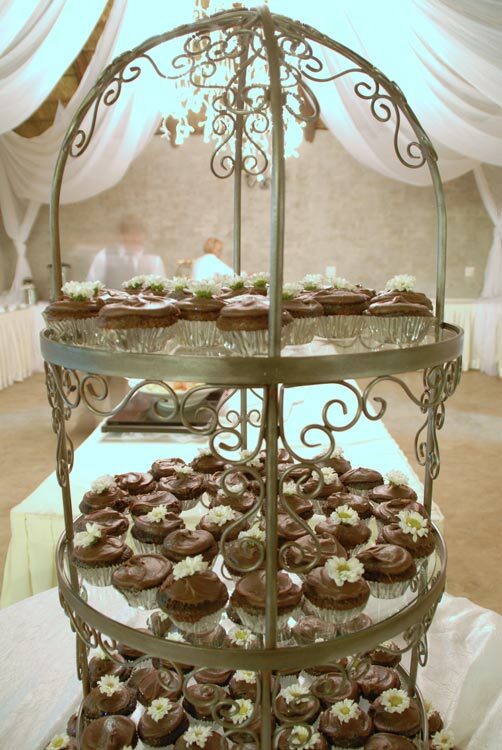 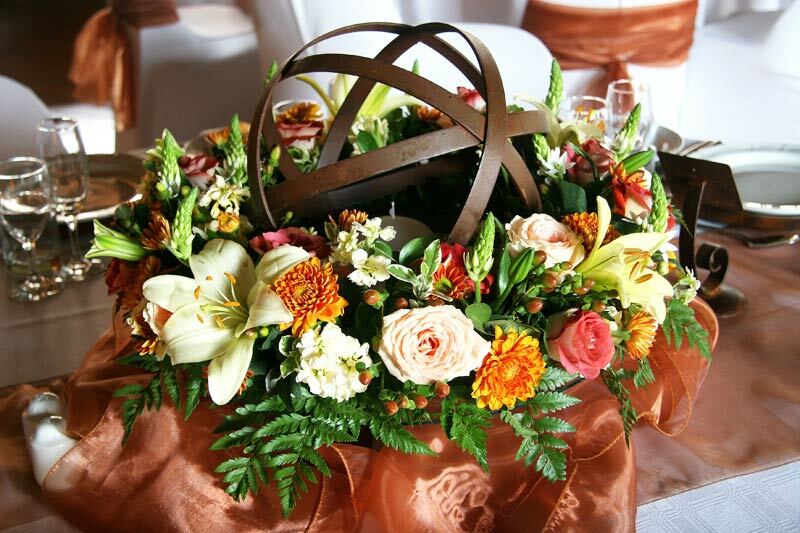 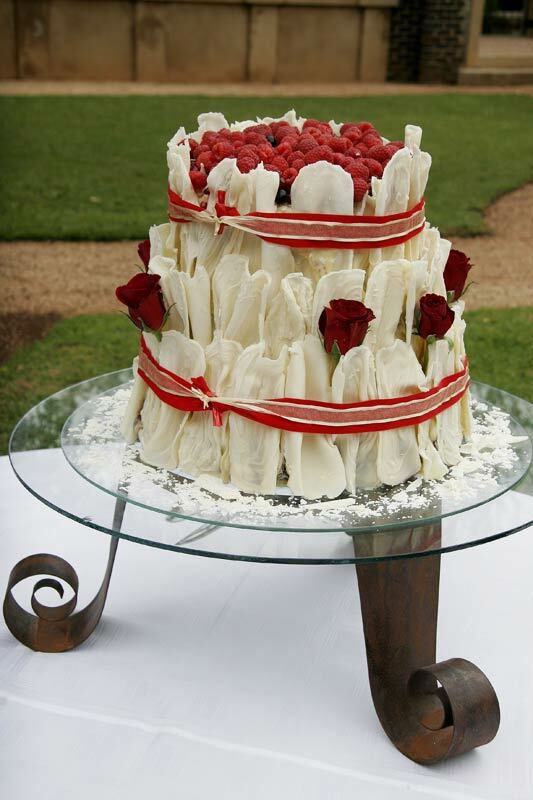 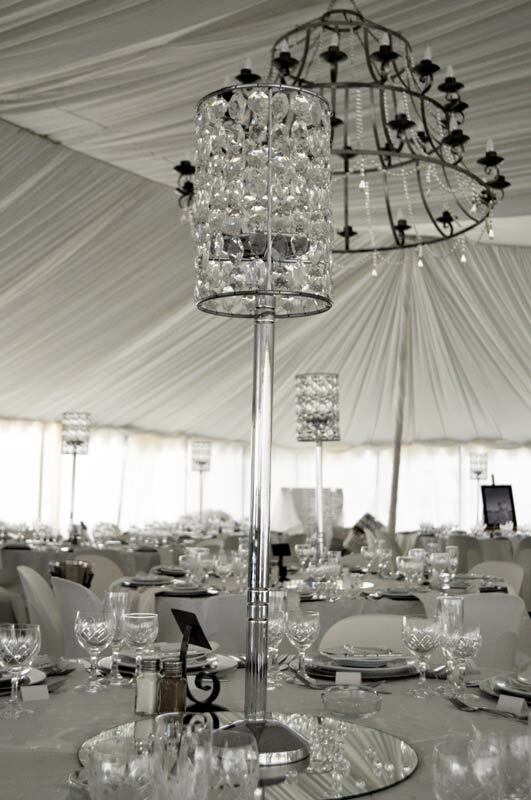 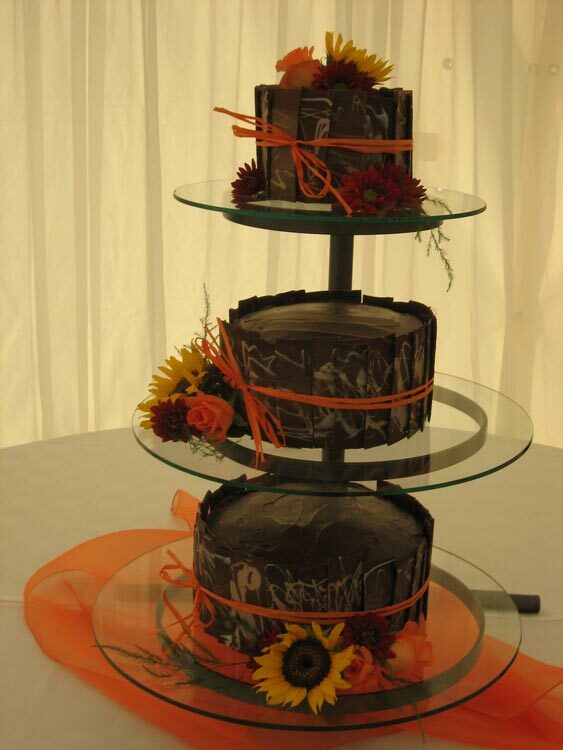 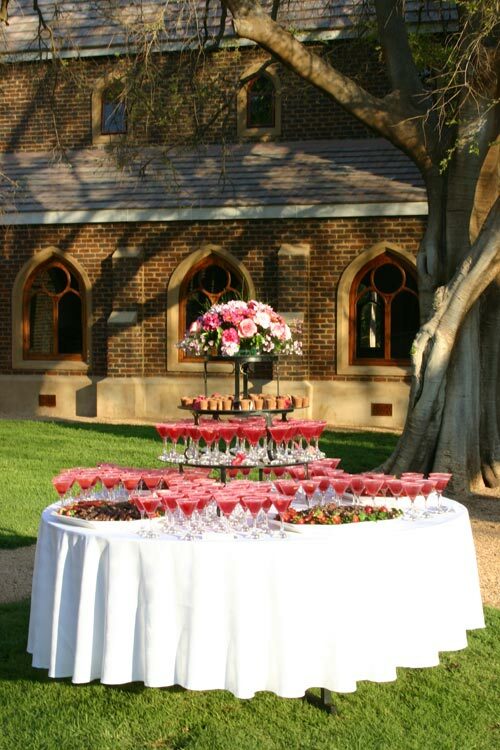 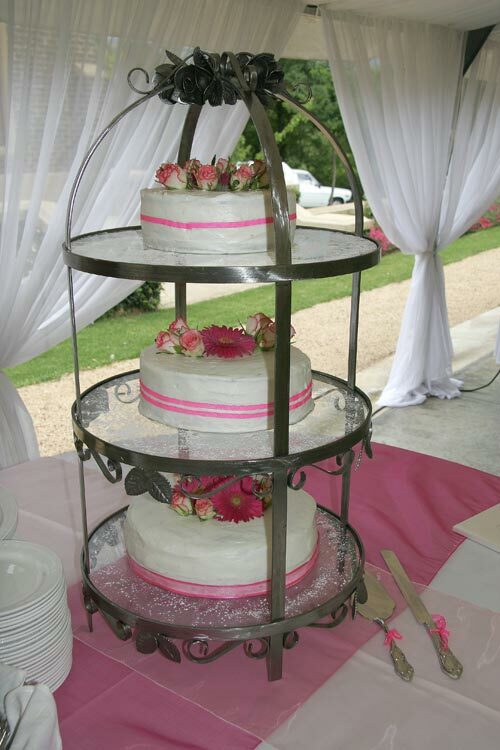 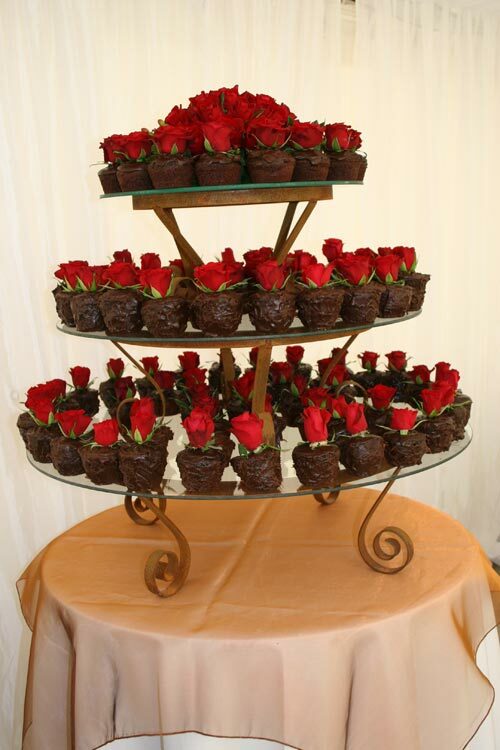 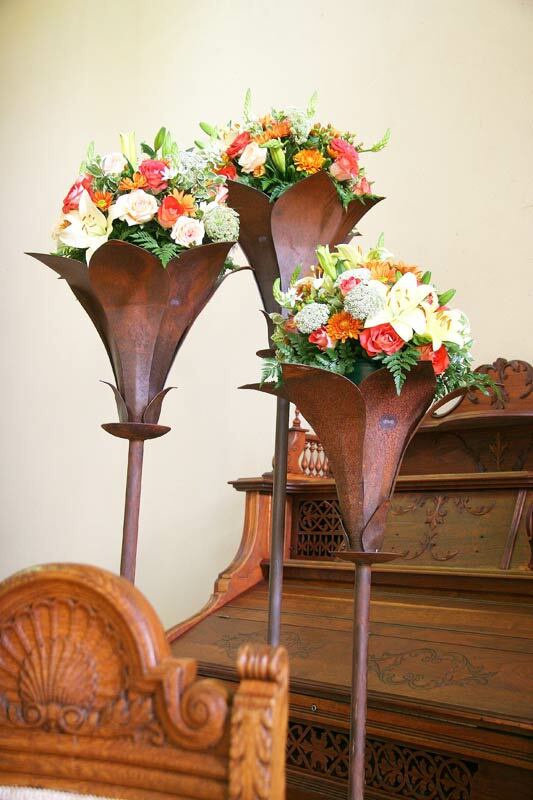 A décor specialist can provide very helpful input with regard to themed weddings. 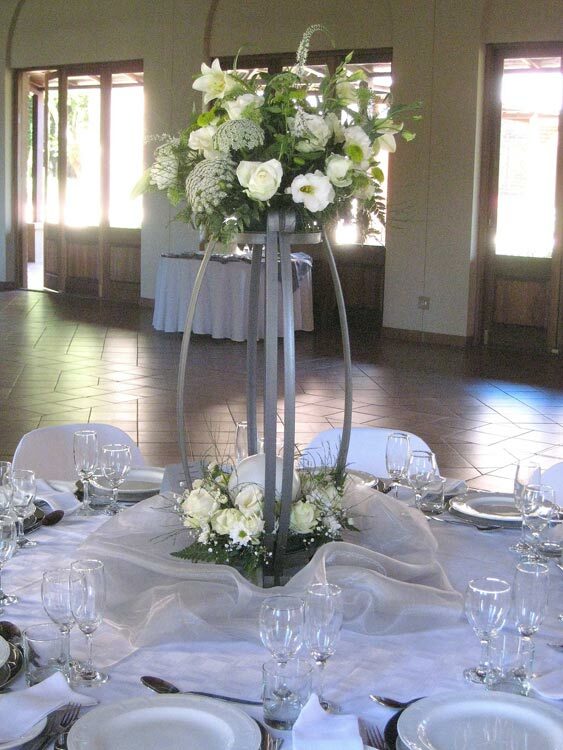 The person can help you with thorough planning and with creating a unified look. 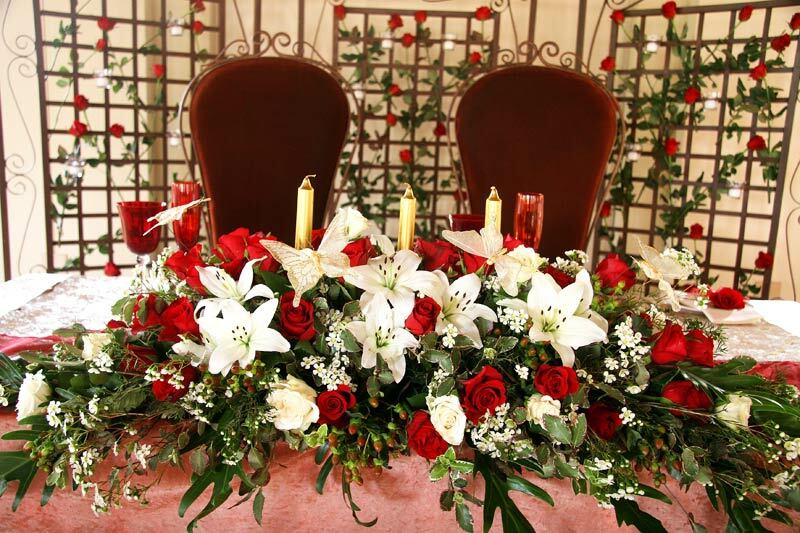 Make sure the person you are using understands your personal taste and make sure you are pleased with the person's ideas - before it is too late. 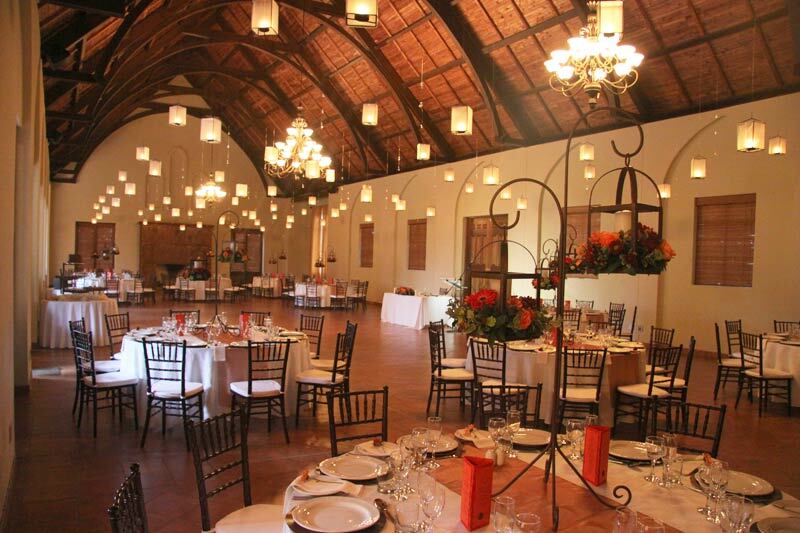 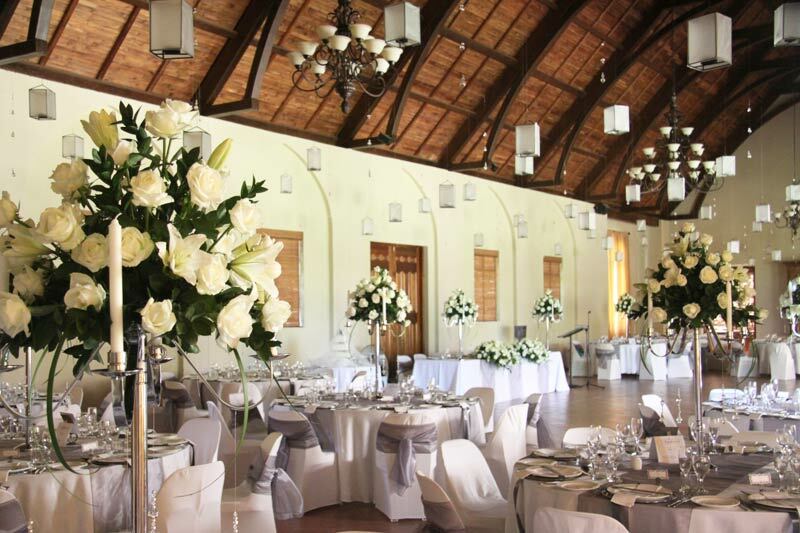 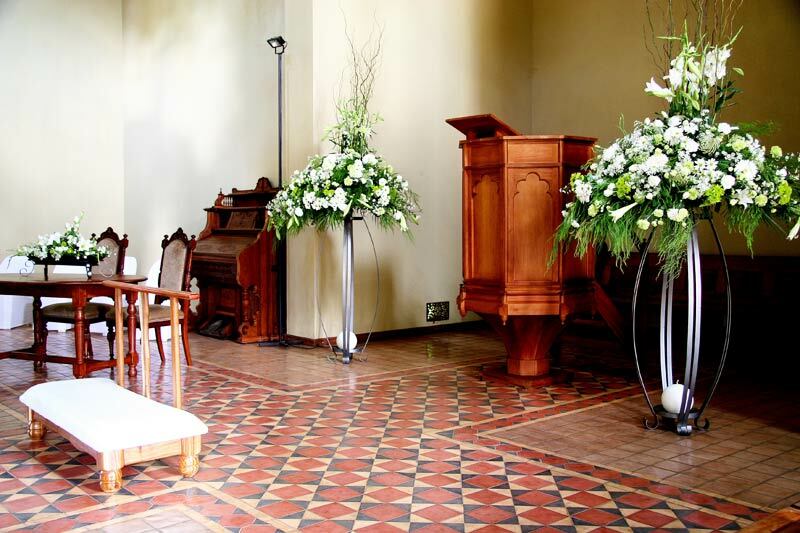 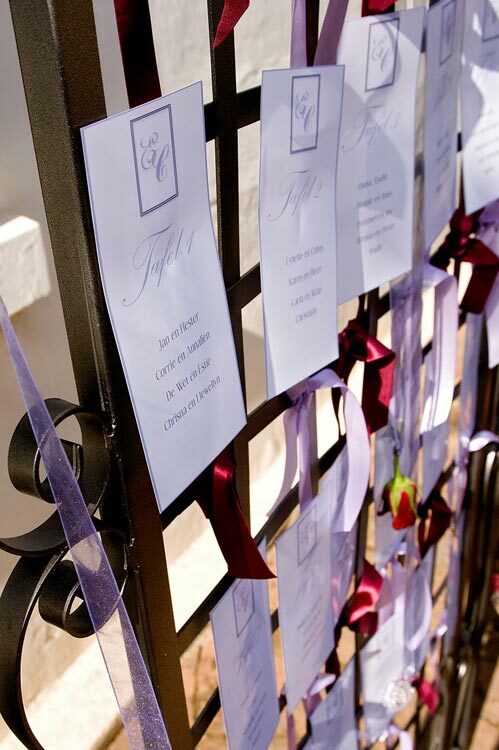 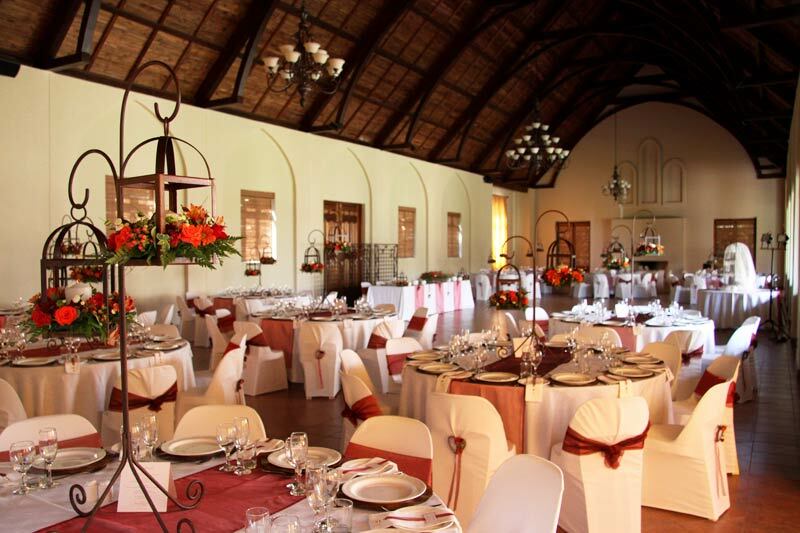 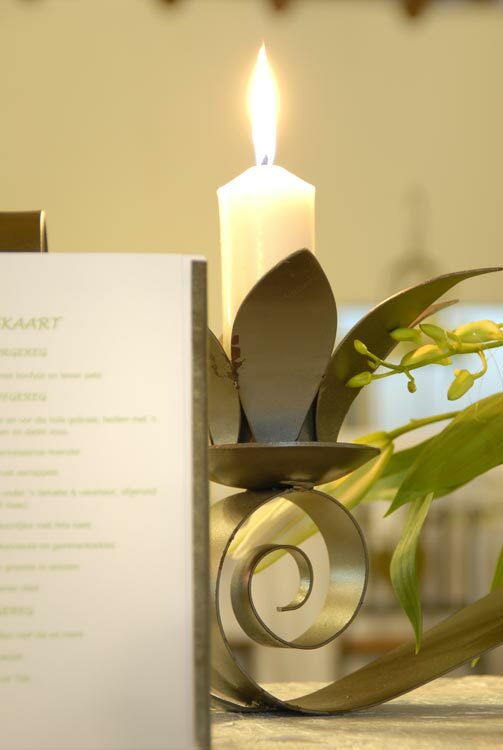 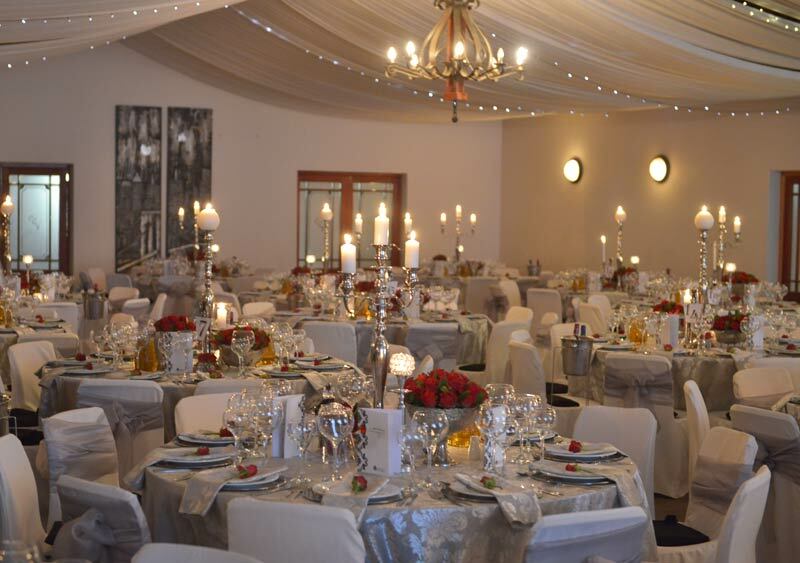 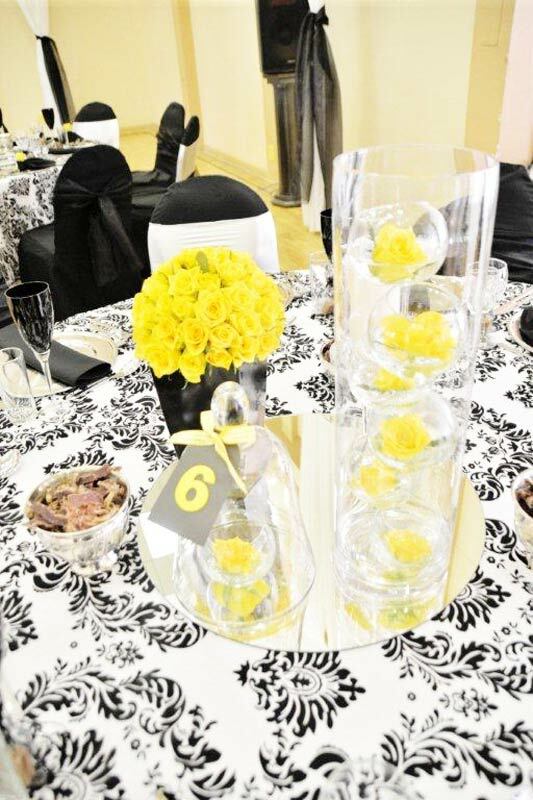 The choice of a particular theme for your wedding can be a useful guide to what kind of décor is required. 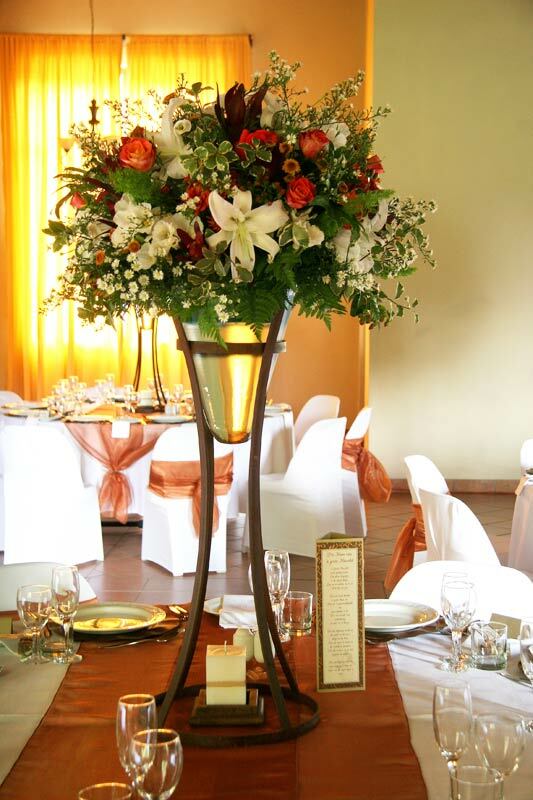 Take something simple as butterflies. 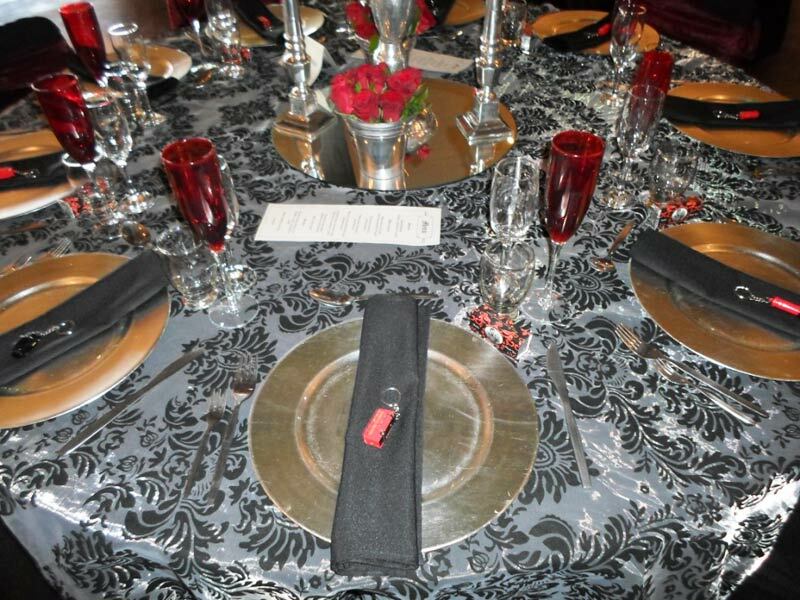 This particular motif will then be used on all the invitations, the orders of service, the wedding dress, the table décor and other items. 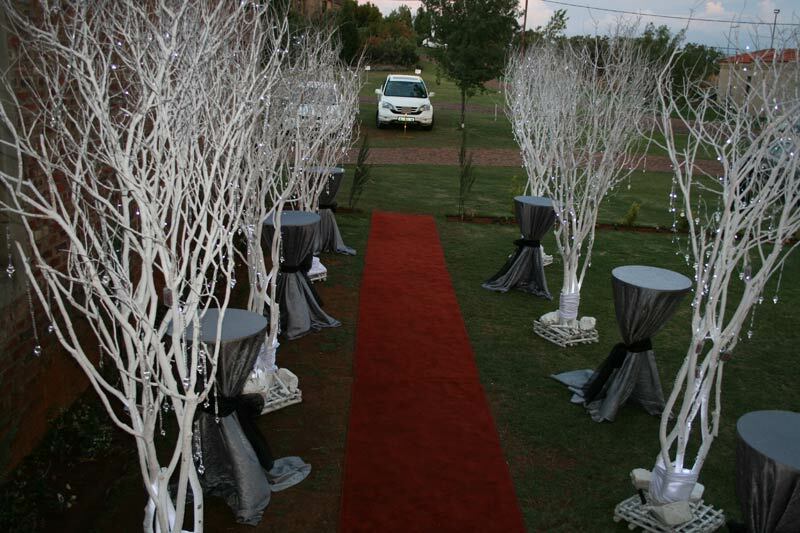 You can create your ideal atmosphere from the moment your guests arrive at the ceremony right through to the reception. 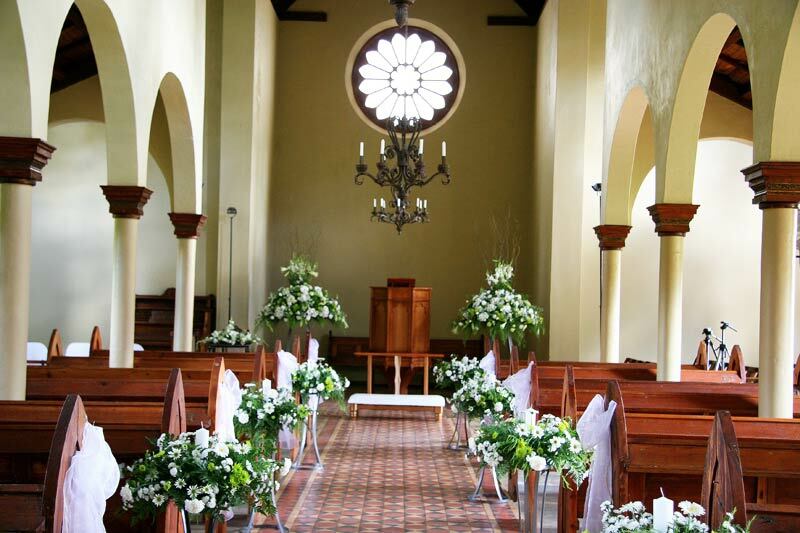 Take into account that many churhes may have more than one wedding per day. 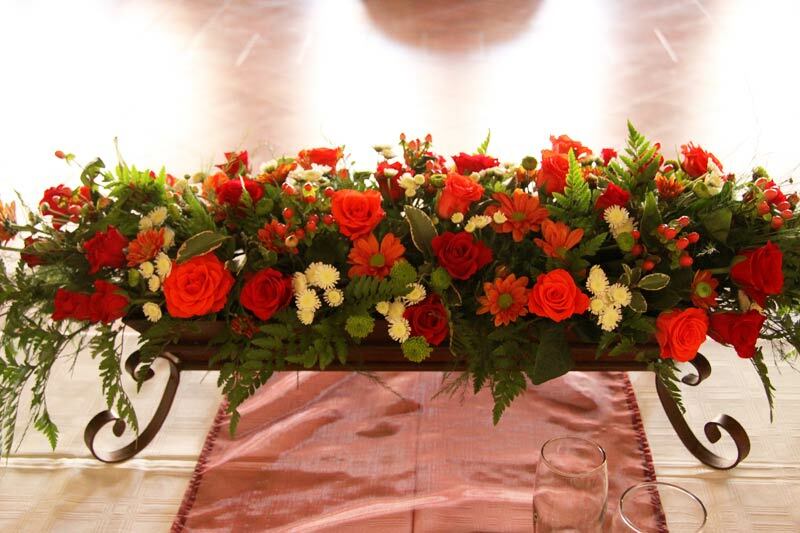 This implies that your décor must be well chosen to ensure that it can be removed quickly and without too much fuss. 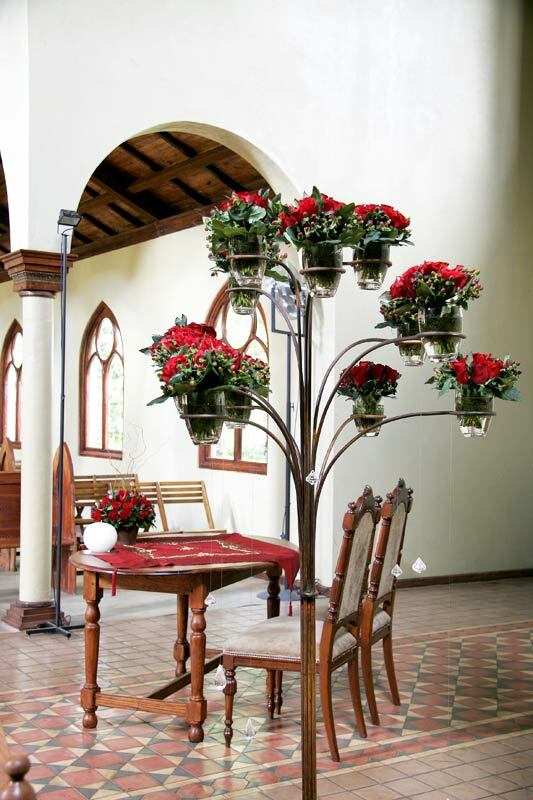 Bear the season in mind. 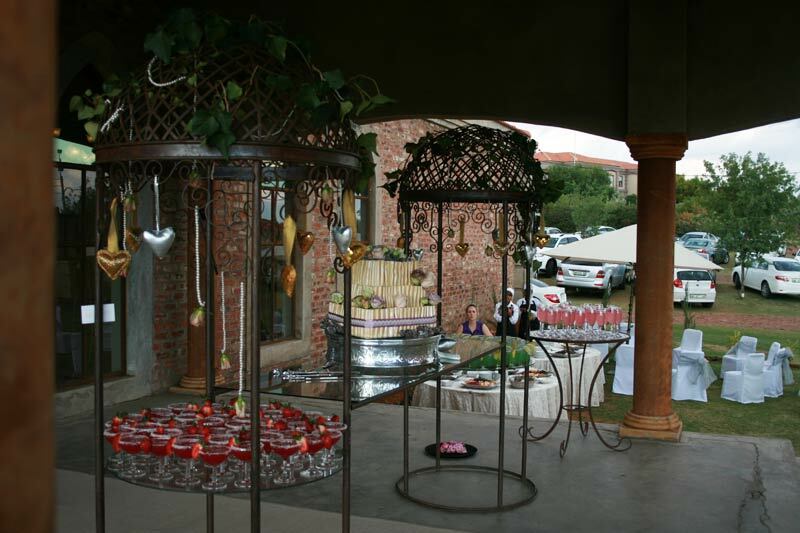 A gazebo can create a charming ambience. 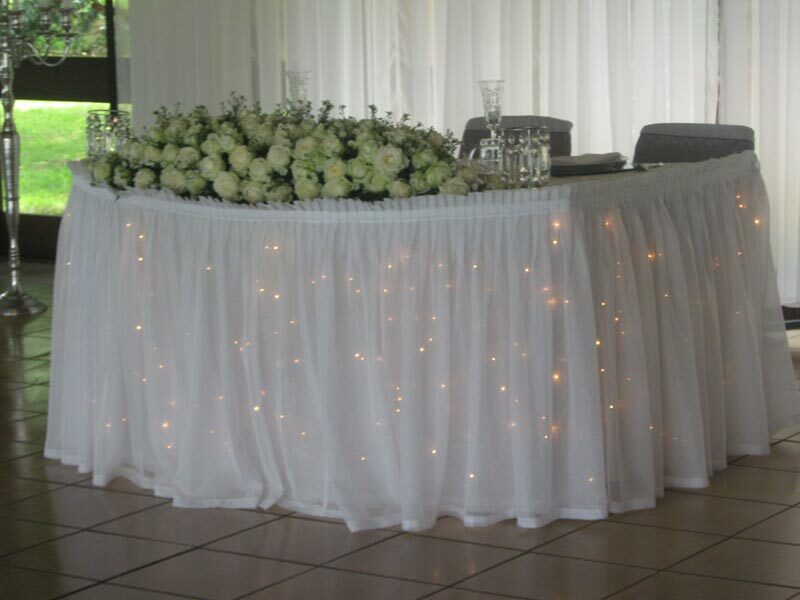 Drape it with soft fabric and transform it into fairytale picture with some suitable lights. 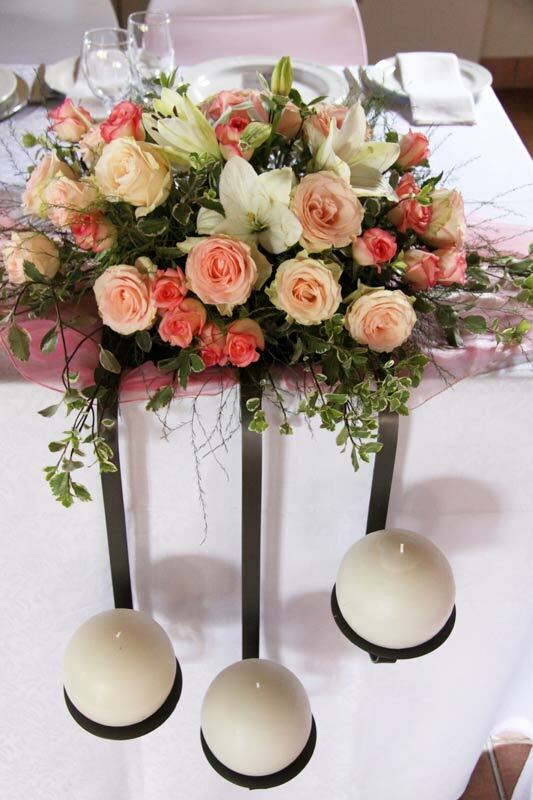 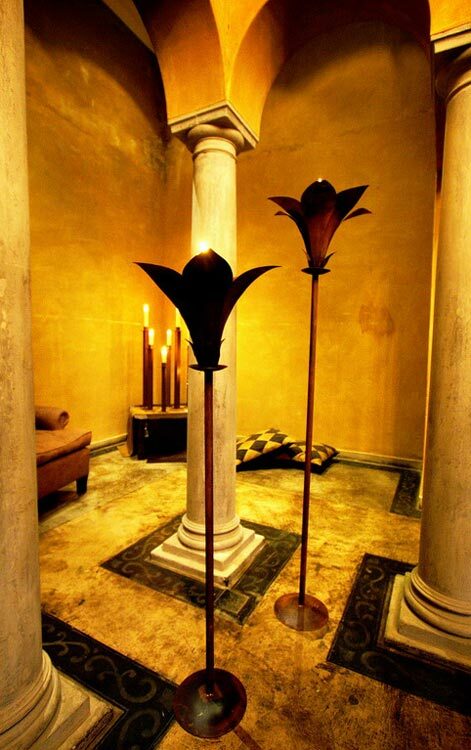 In this way, you can create a soft and romantic atmosphere. 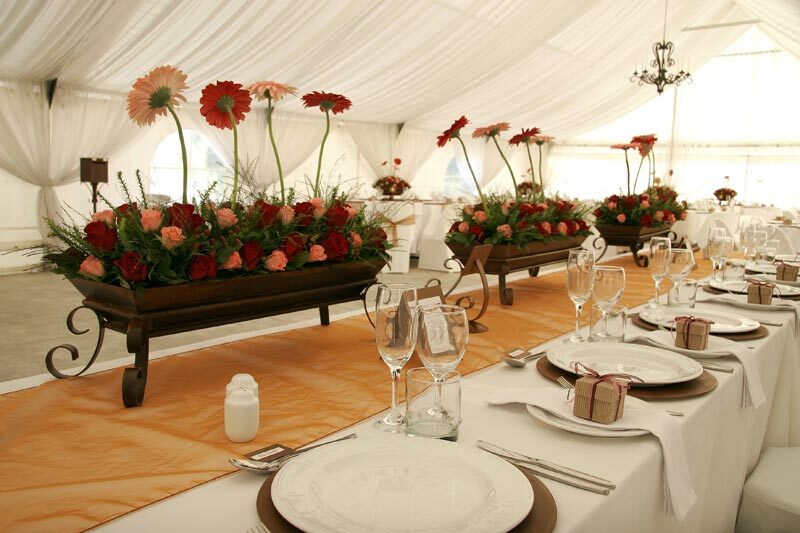 A marquee looks very festive if you have a large country garden at your disposal. 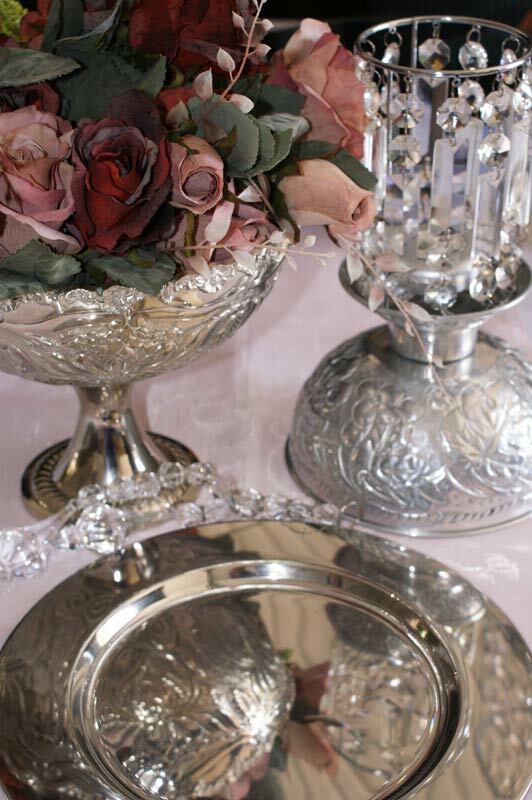 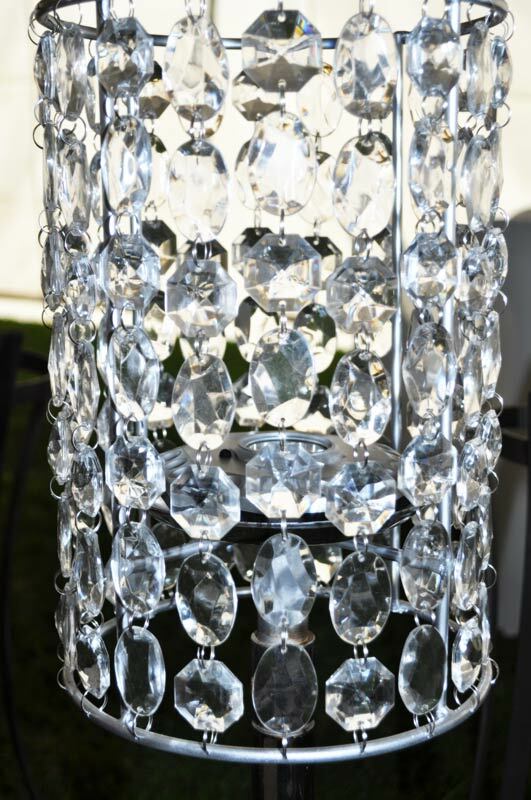 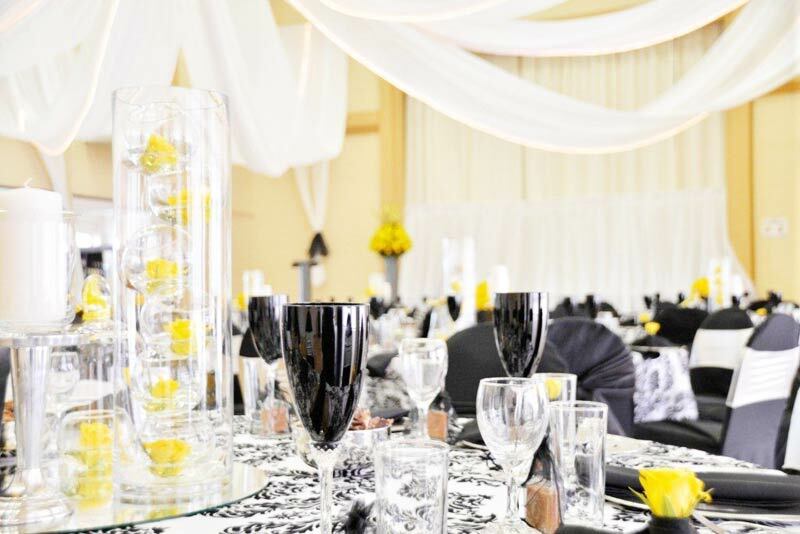 Approach a professional décor company to help you and to inspire you so that you dream for your big day can come true. 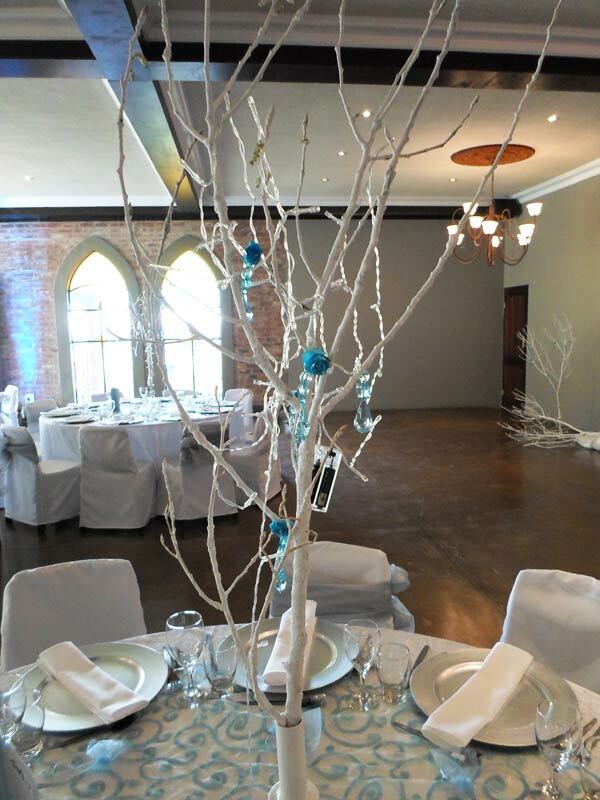 A professional décor company can create magic, even with the tiniest of budgets. 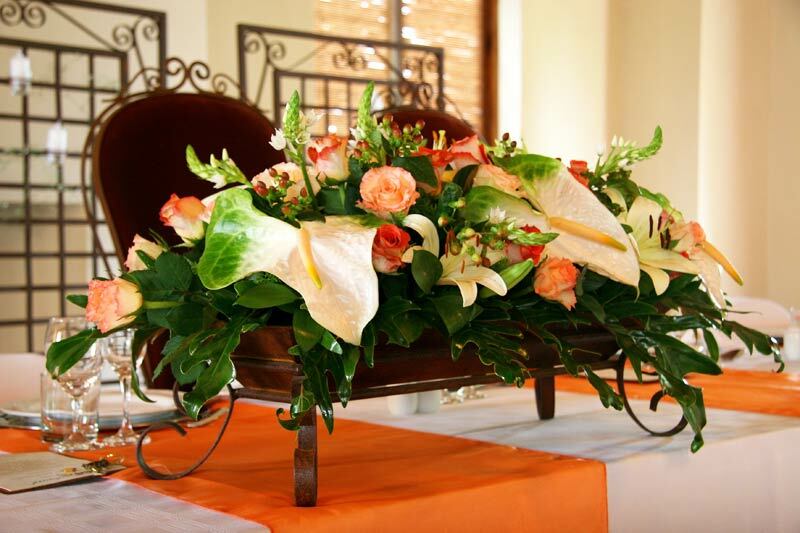 A professional décor specialist is always a good listner (hopefully!) 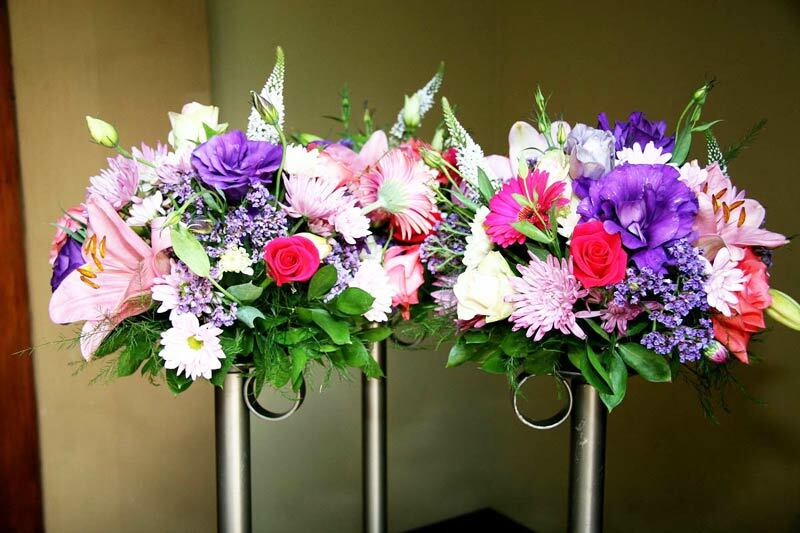 who focuses on the individuality of the bride and groom. 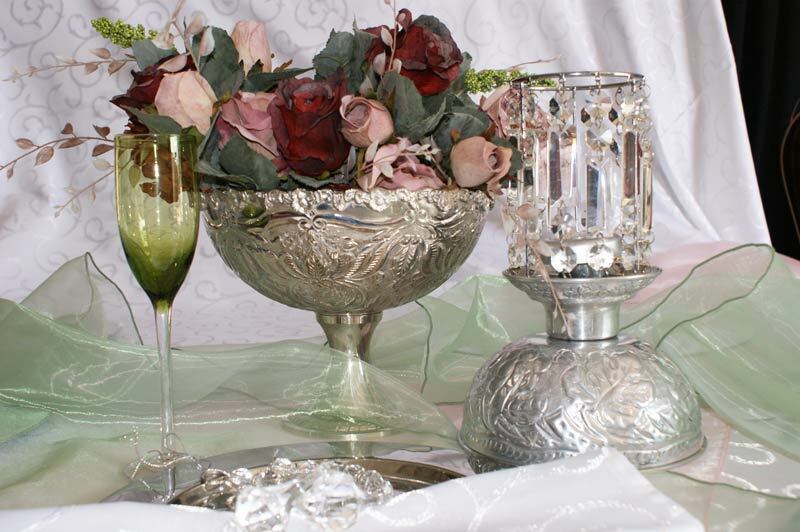 He/she can help you to crystallise your ideas and desires to create a unique spectacle. 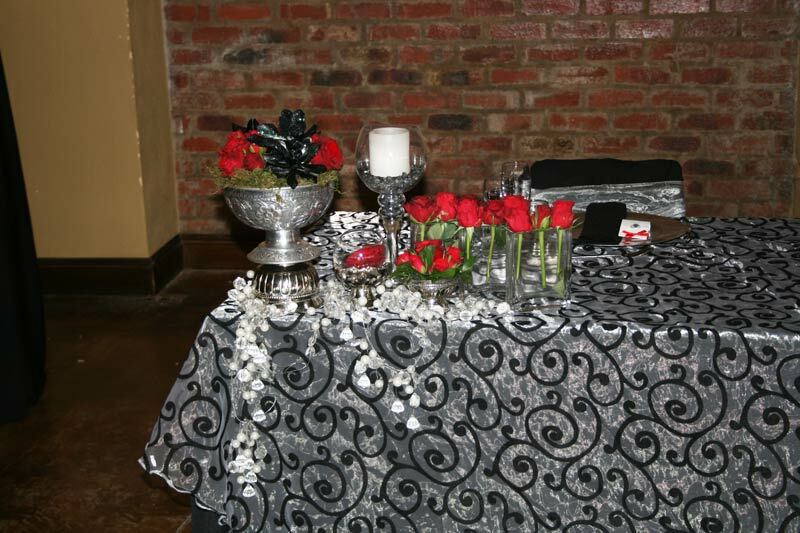 Most venues have their own tables and chairs. 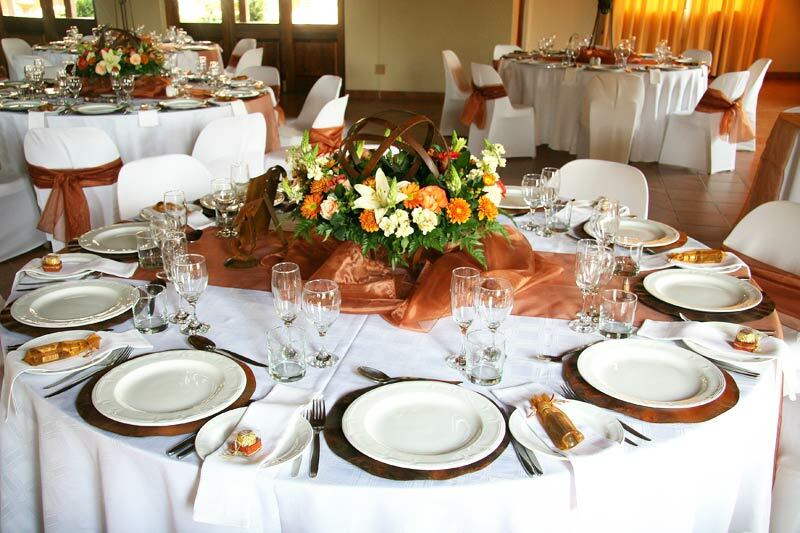 Take this into account when you decide on a venue, because renting tables and chairs can cost a lot. 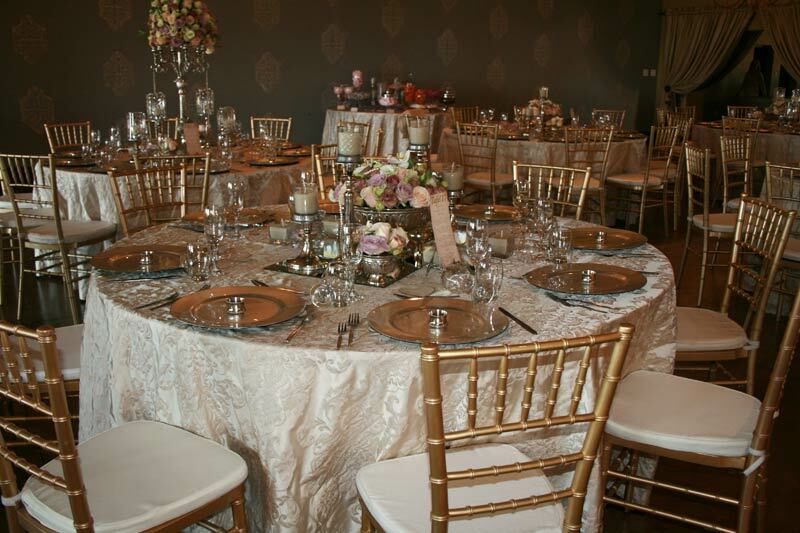 Although round tables look very cosy, you can also consider rectangular or square tables. 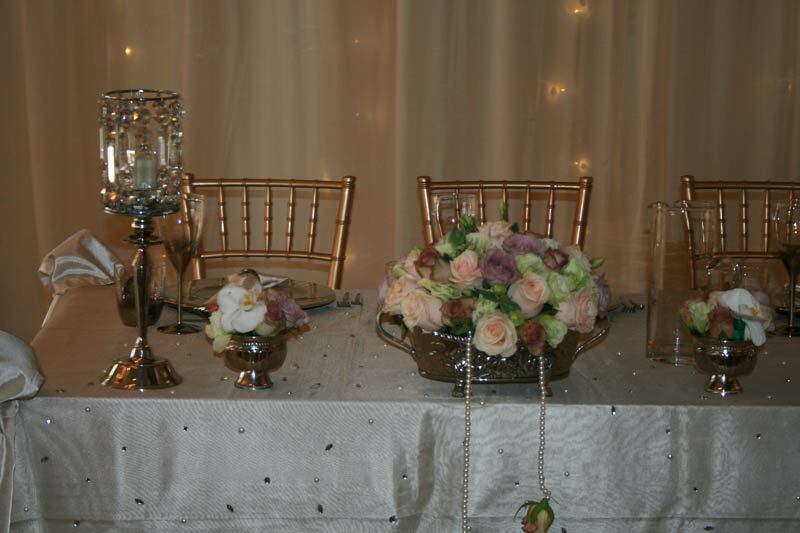 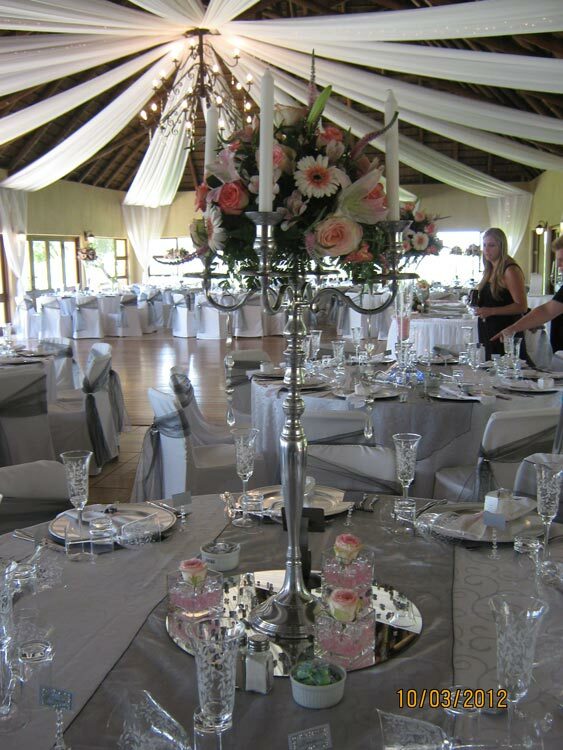 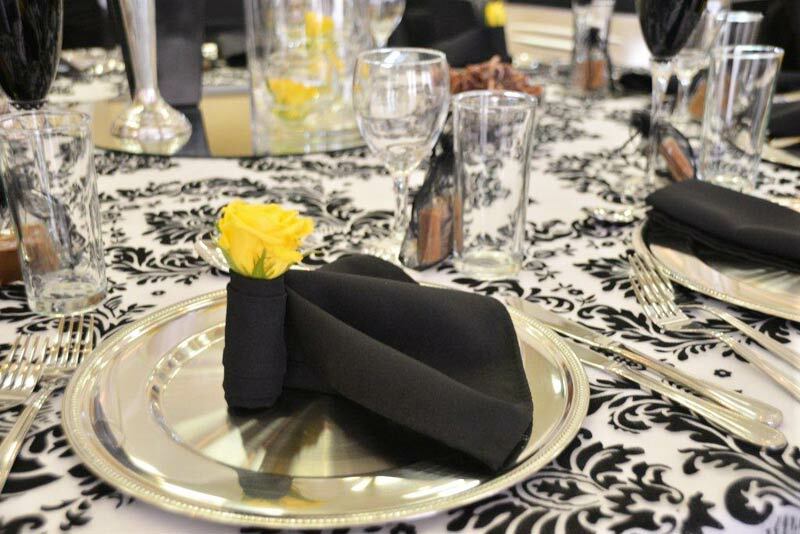 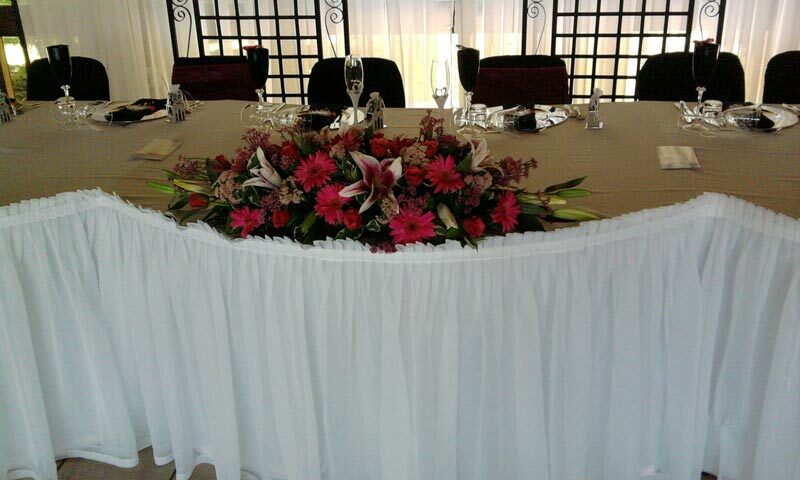 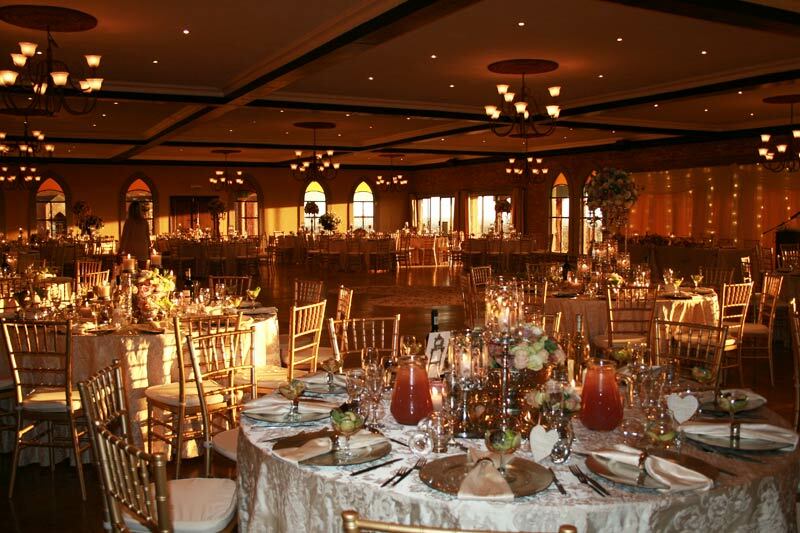 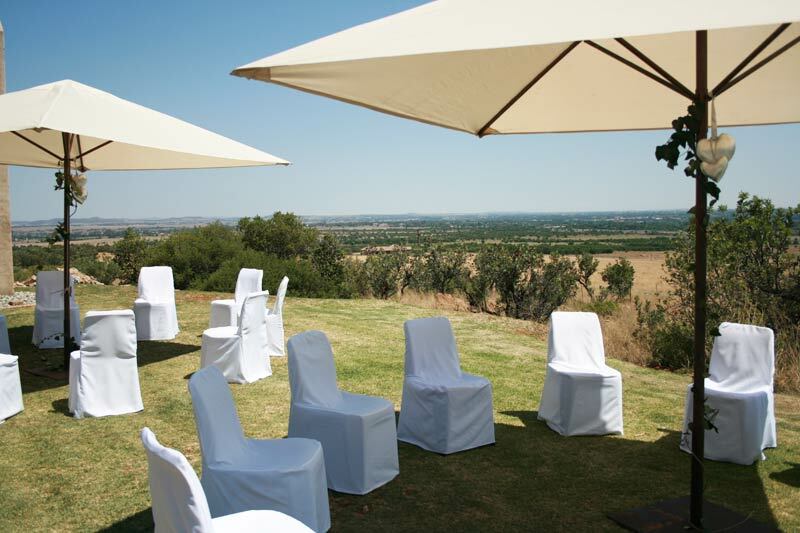 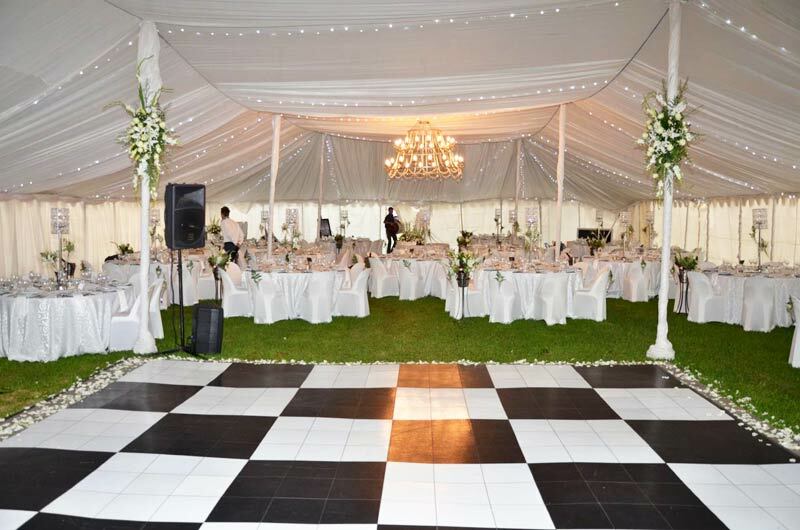 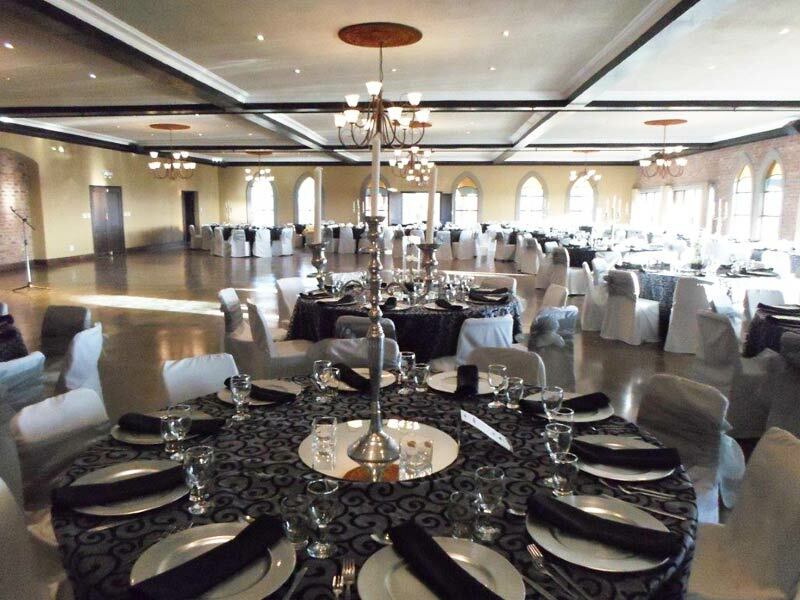 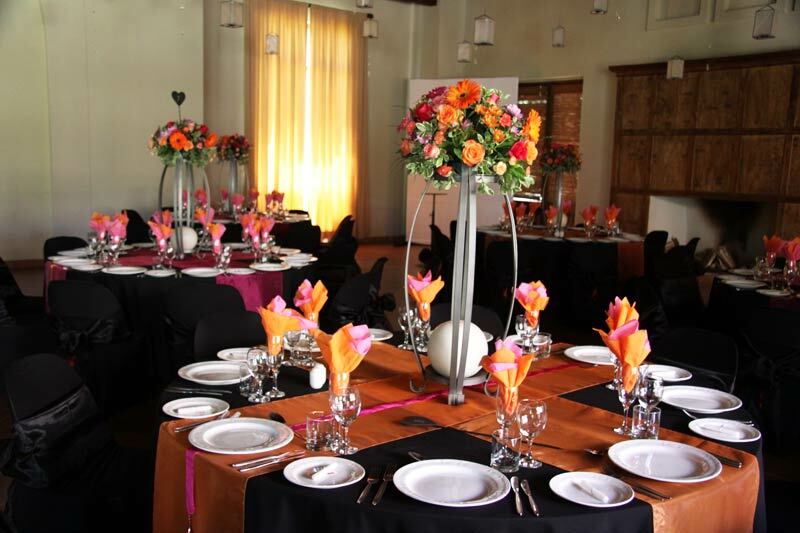 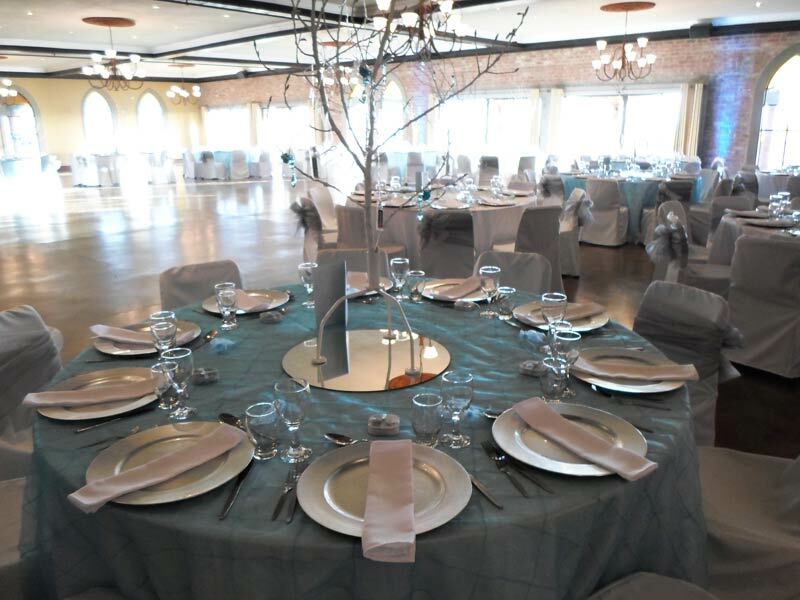 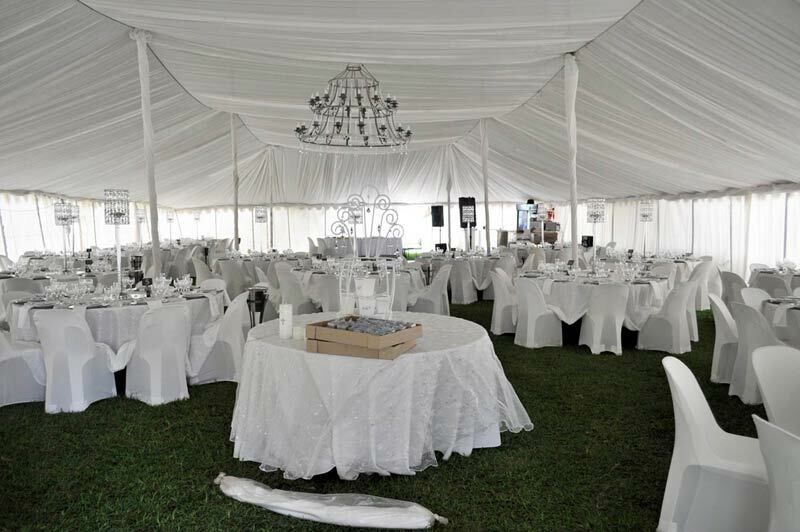 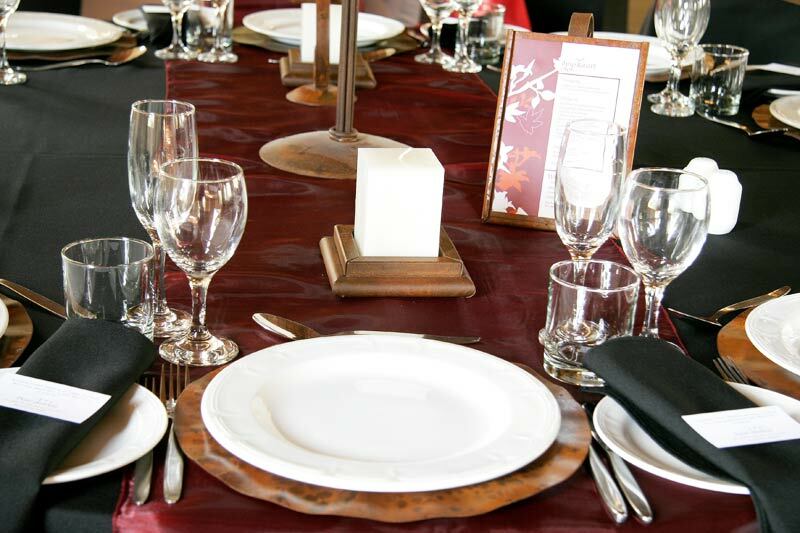 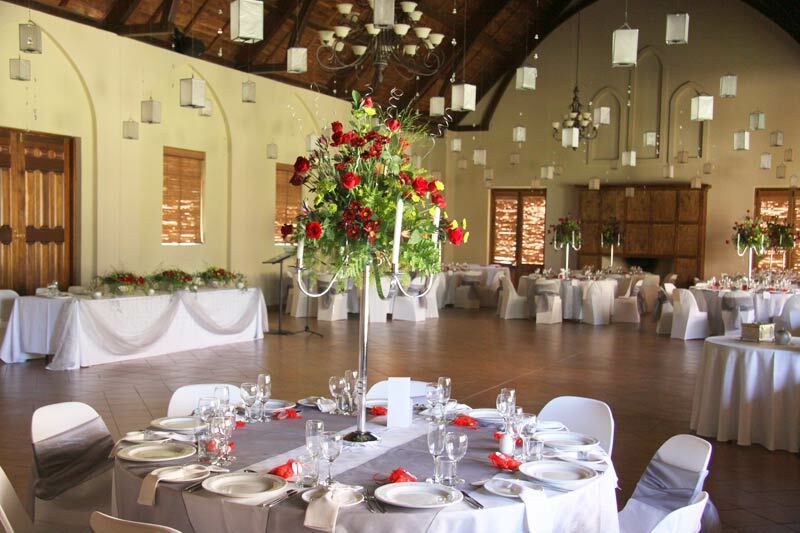 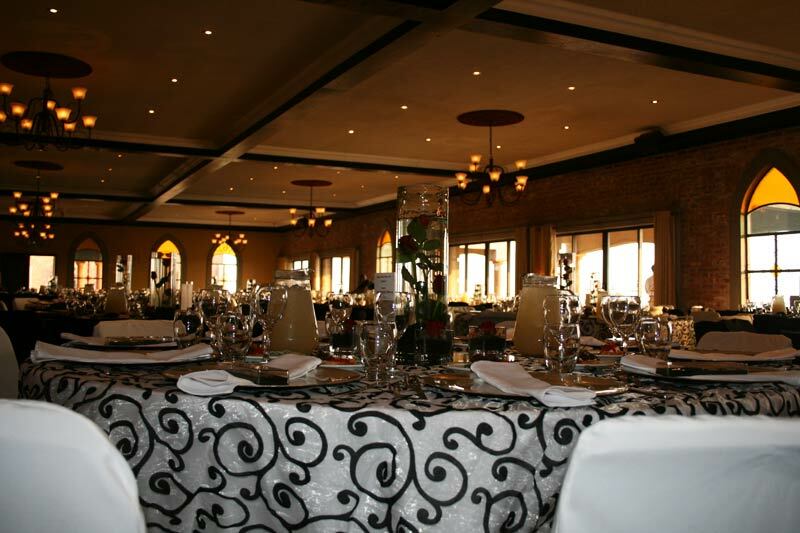 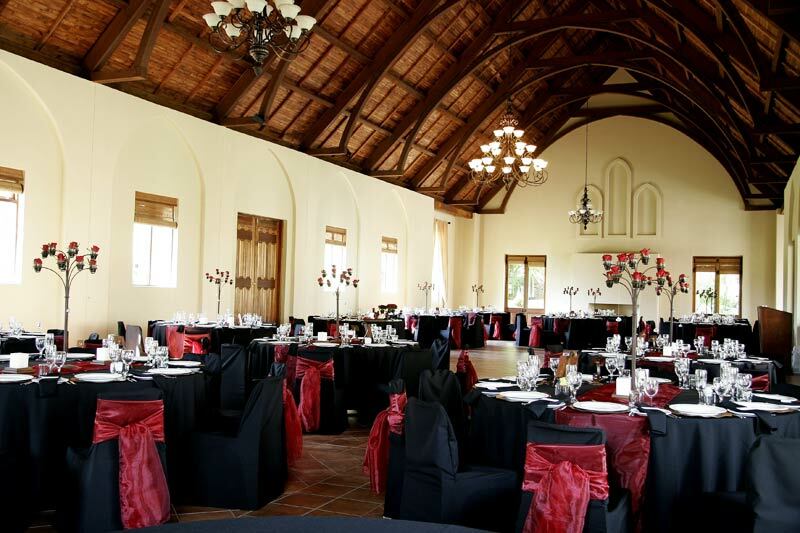 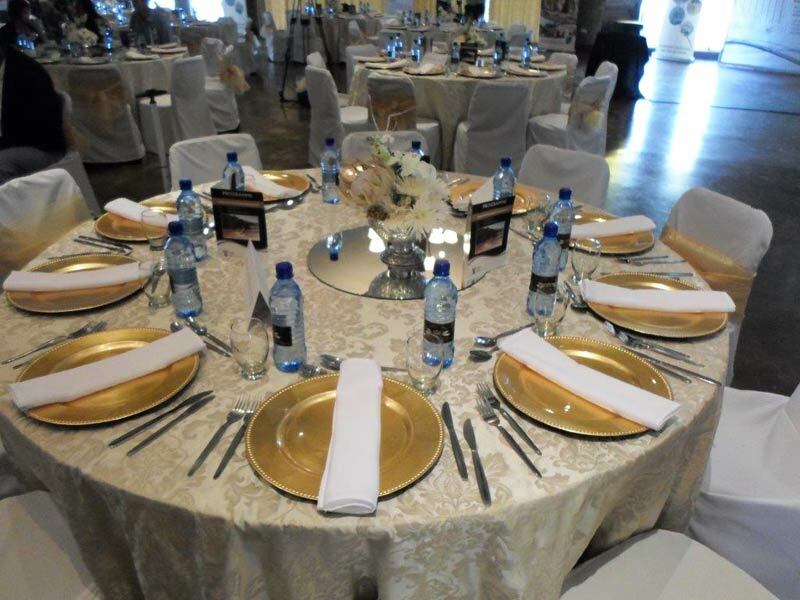 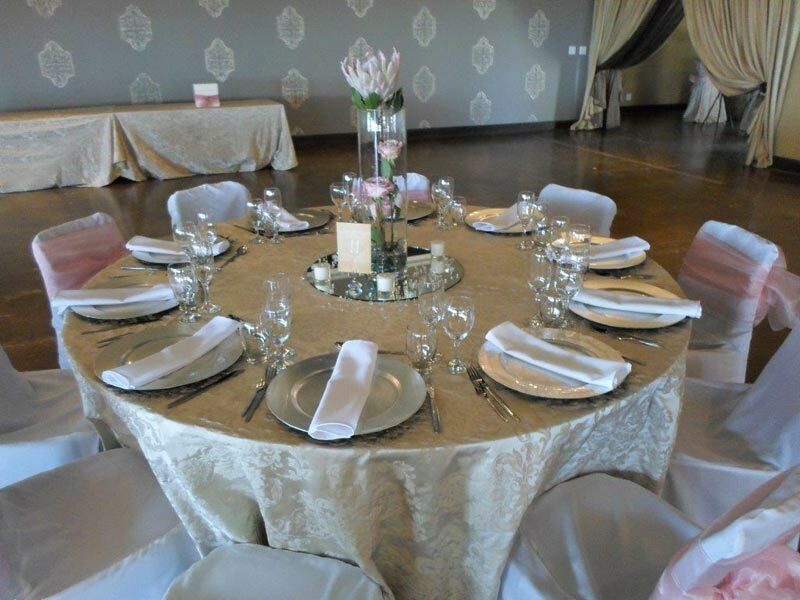 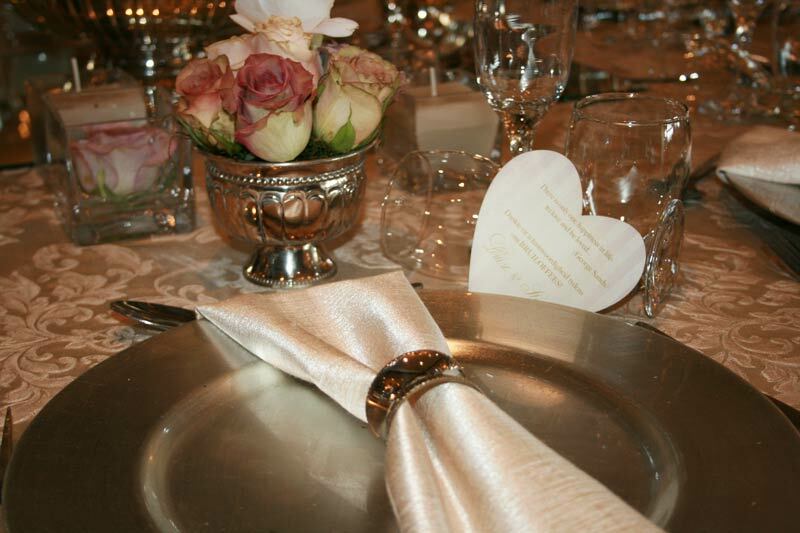 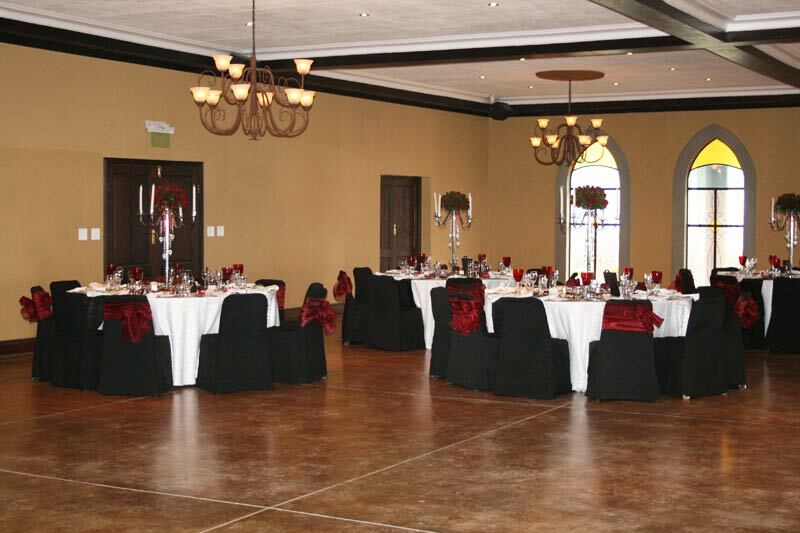 You can rent a wide range of tablecloths, overlays, bows for your chairs, chair covers, etc. 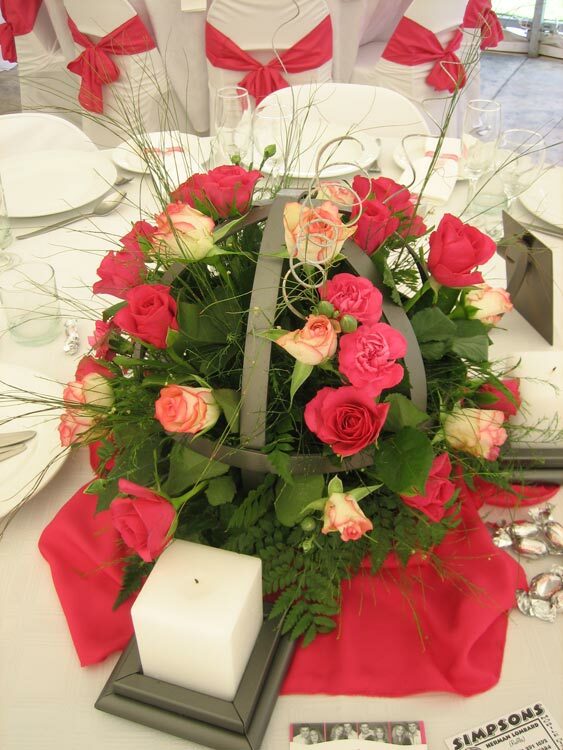 in a variety of colours. 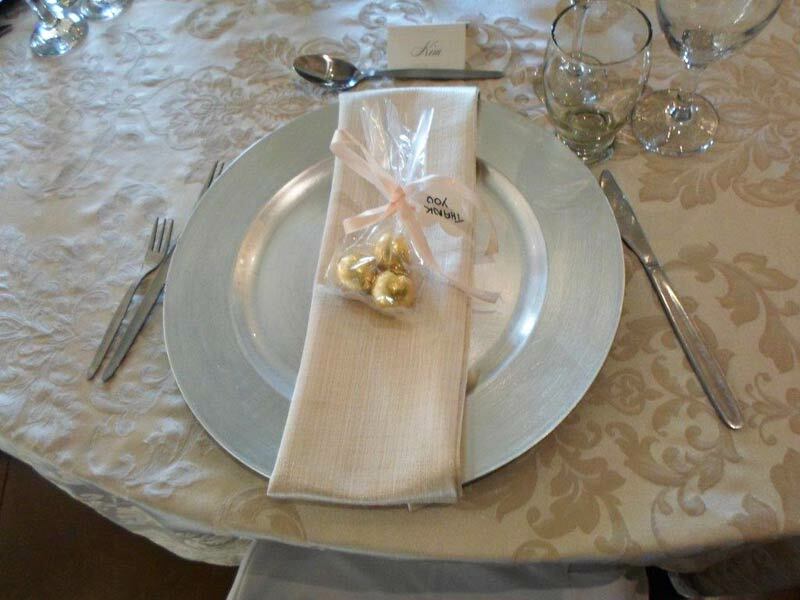 Chair covers always finish the whole table setting very stylishly. 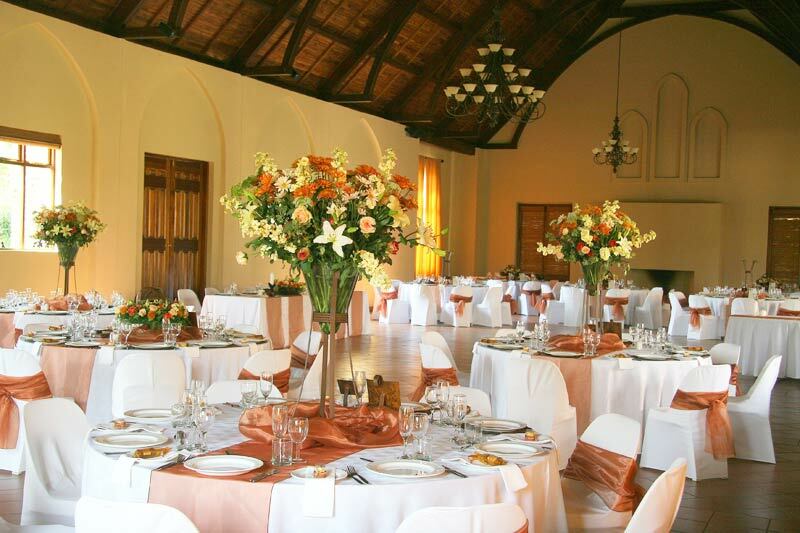 Remember that after the choice of venue, the choice of the décor is the most important aspect of the planning of the wedding. 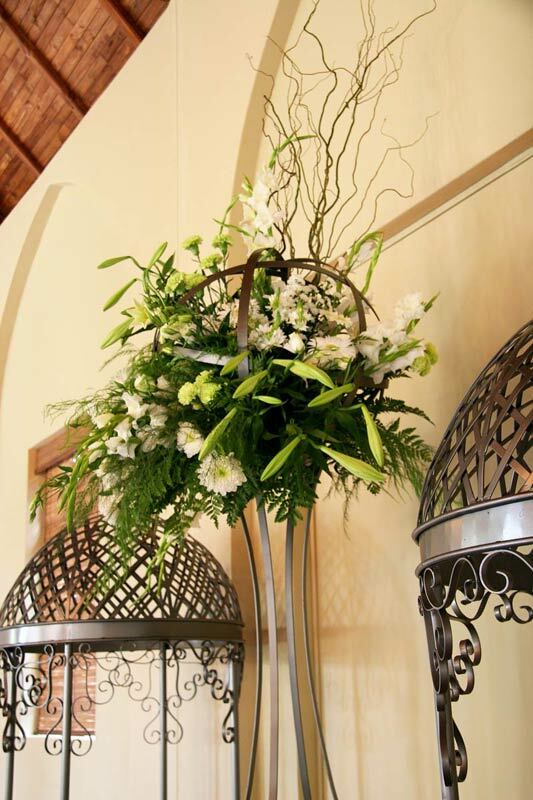 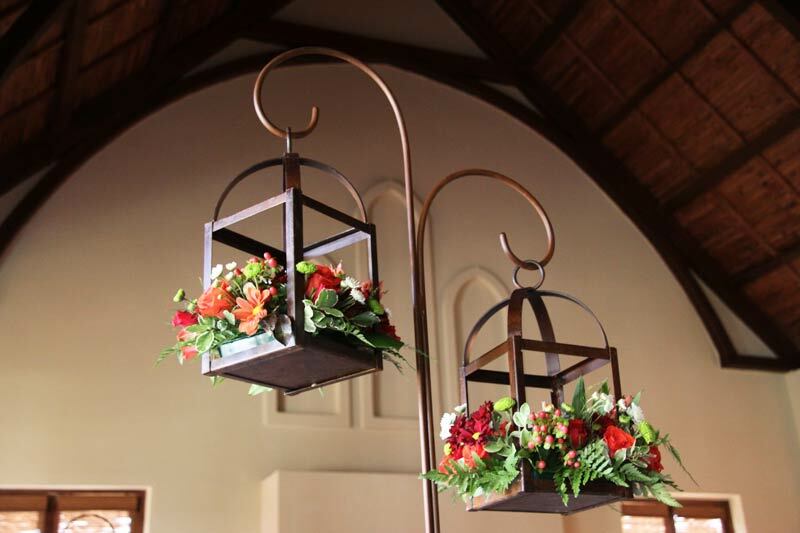 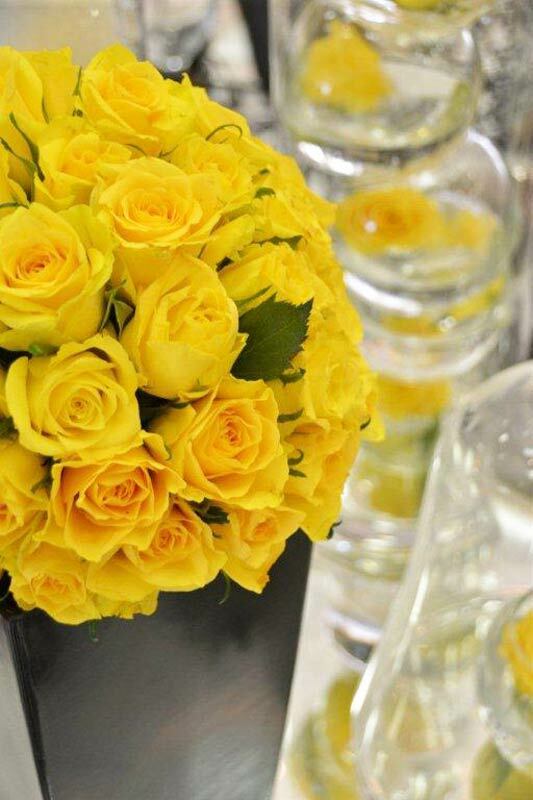 Often it is your choice of flower stands and candles that lends colour to the venue for your reception and that makes it look spectacular. 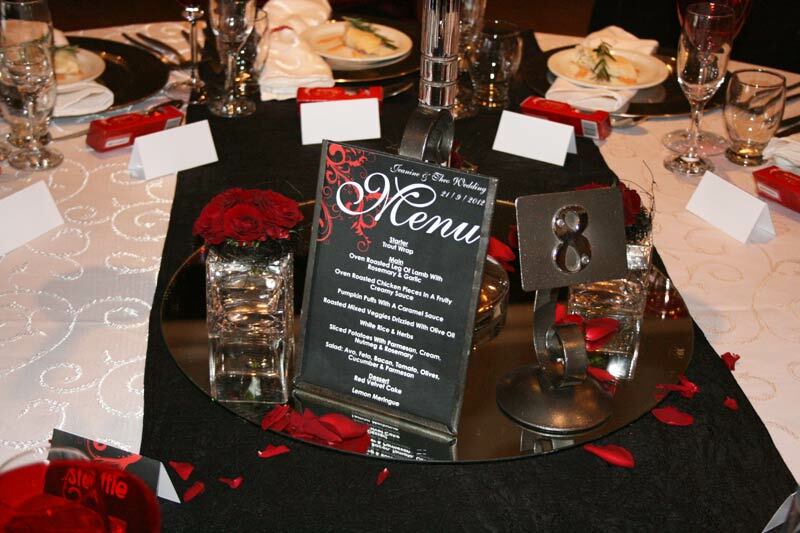 It impresses your guests and creates a talking point. 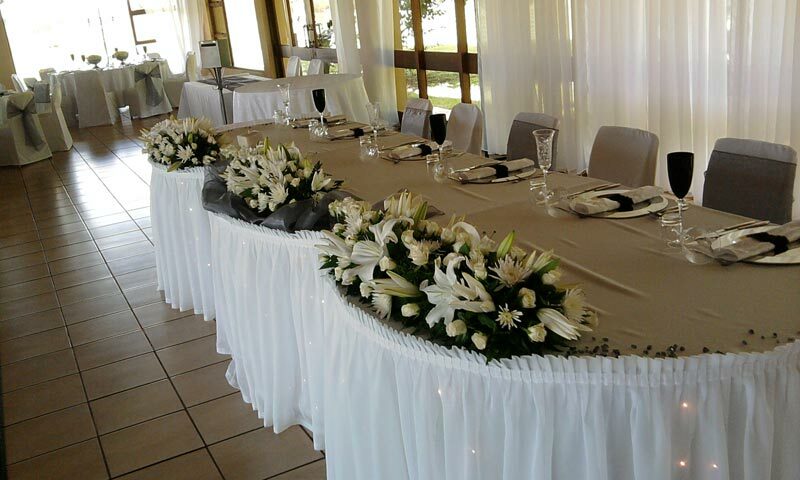 Jazz up the register table, main table, cake and food tables with something beautiful The right décor can also look stunning outside and with candles and lighting create a wonderful atmosphere in the evening. 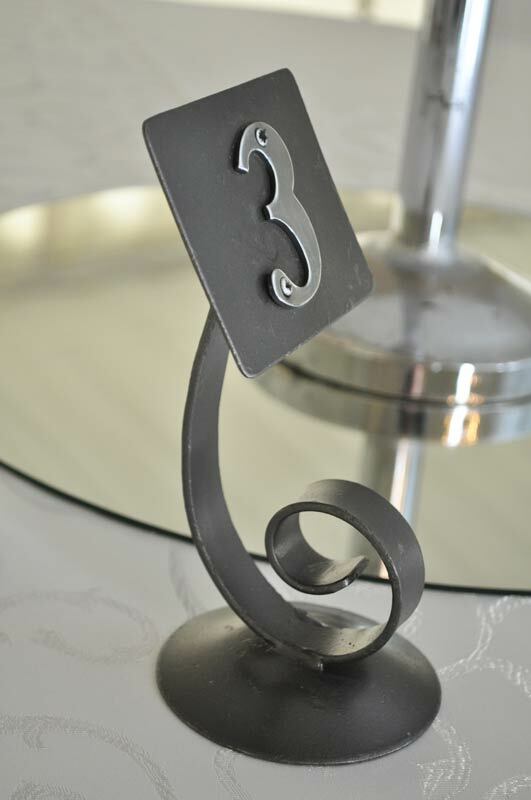 Find something unique. 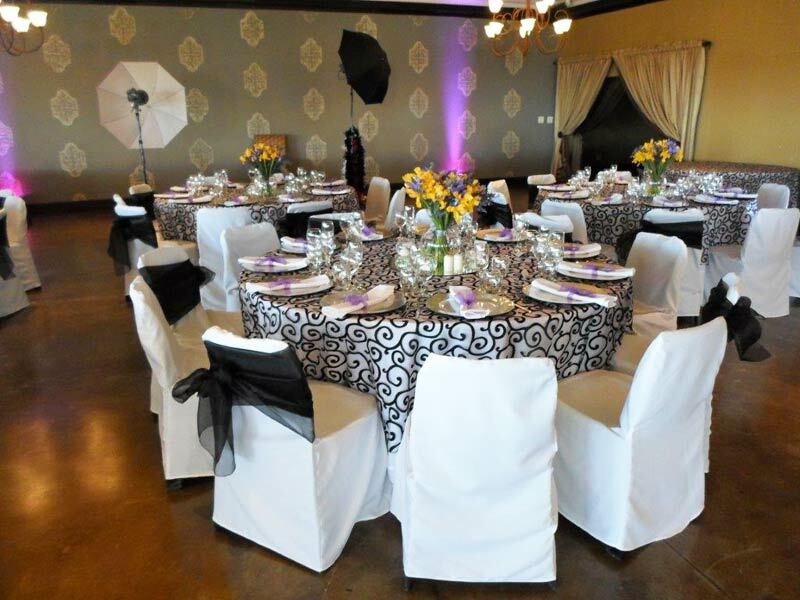 Drapery is freely available and can add a lot of style and atmosphere. 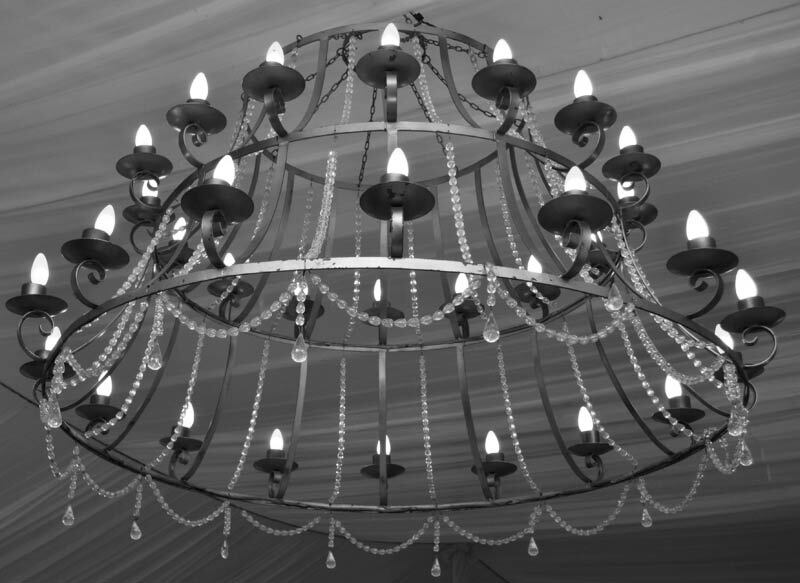 A few strings of fairylights are always pretty and festive.